Hello there, yep, what a good day to celebrate. So I opened up my smartphone today and we think social media is crazy about Dawin Dessert. But then, everything gets talked about online nowadays. 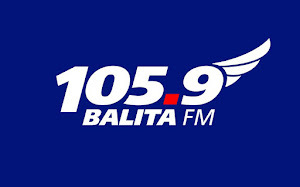 If you're jumping into the bandwagon, this is the, flexibly, handle "105.9 Balita FM Davao POP 20 Countdown"
Yup, (perfect) that is the news. Well, I don't know about you, but in this day and age of social media, anything is news. Included in the countdown is Dawin - Dessert . Also included in the countdown is Alden Richards - Wish I May . Making its way in the list is Juan Karlos Labajo - Para Sa'Yo . And then there is Taylor Swift - Wildest Dreams .